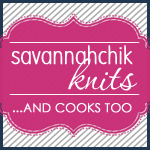 Change of plans – we didn’t go to Maryland Sheep & Wool this year. 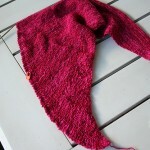 Life just got too busy and instead we stayed home, munched at a cafe, planned a new project, and of course – knit. I got an email from Miss Babs earlier in the week talking about Maryland and what she planned to bring – including her Polydactyl kits. 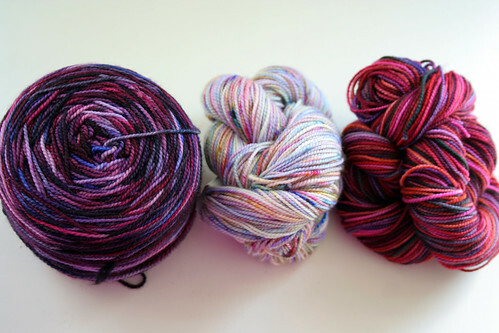 The kits have 7 small skeins of her Yummy 2 ply base (she calls them Yummy Toes) and she mentioned that Tubularity was designed for this kit. I hadn’t considered making Tubularity before but now I was curious – Martina doesn’t make a bad design. I started clicking through the FOs to better understand how this design worked and then I noticed – Martina posted a video of all the ways to style it! That video clinched it for me. 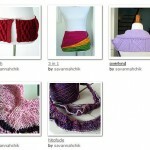 My favorite is the top left – a stylish, clever capelet. Top right is buttoned similarly but you rotate how you wear it. 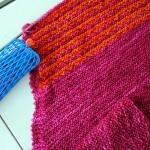 Bottom left is done by folding the tube into itself – creating a thicker, less fussy cowl. And bottom right is when you pull the tube over your head. Martina also mentions that you can wear it as a hood. So you know what comes next, right? Raiding my stash. 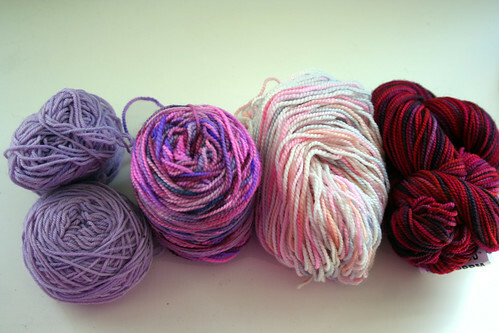 I found 7 colors I liked but didn’t love, so I bought a couple more skeins of Koigu kpppm as well. And here you can see them up close. I had tried to select colors that were more different – like Martina’s and also like the Polydactyl kits – but I just couldn’t find a combo I liked. 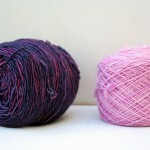 So instead I went with my classic pinks, reds and purples. As Paul said – it matches everything I own. I cast on last night and have a tiny garter triangle right now (not very exciting) but I can see how this project can become addictive. I already can’t wait to see how it looks with the next color added. And then the next one. And of course I’m daydreaming about how I’ll take more of a risk on my *next* Tubularity. I don’t think it’s necessary to step out of your color comfort zone all the time. In my opinion, that is what socks are for. I wouldn’t wear an orange sweater, but I will wear the most obnoxious orange socks. This pattern is AWESOME! Thank you so much for sharing! 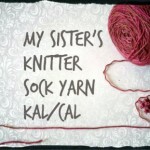 It goes straight in my favorites and in my ravelry queue! Can’t wait to see your tubularity finished ! I was sad to hear that MSW wasn’t in the cards for you this year. Boo! 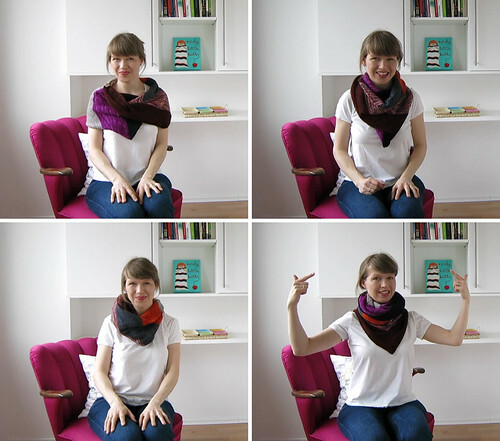 I loved this pattern when I say Martina’s video showing all the ways you can wear it. 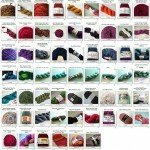 Nothing wrong with knitting colors that work for you. This will be fabulous! I love the colour combination you chose for the Tubularity! I have seen that pattern pop up a lot recently but I still have a giant skein that needs to transform into a Nuvem before I can tackle another one of Behm’s patterns :P.
Ok, I need this in my life. It’s genius, functional and cute. There is something about bold colors and stripes that always appeals to me.